Event-based systems are a class of reactive systems deployed in a wide spectrum of engineering disciplines including control, communication, signal processing, and electronic instrumentation. Activities in event-based systems are triggered in response to events usually representing a significant change of the state of controlled or monitored physical variables. Event-based systems adopt a model of calls for resources only if it is necessary, and therefore, they are characterized by efficient utilization of communication bandwidth, computation capability, and energy budget. Currently, the economical use of constrained technical resources is a critical issue in various application domains because many systems become increasingly networked, wireless, and spatially distributed. Event-Based Control and Signal Processing is the first extensive study on both event-based control and event-based signal processing, presenting scientific contributions at the cutting edge of modern science and engineering. Marek Miskowicz received his M.Sc. and Ph.D. in electronic engineering, and his D.Sc. in communication systems engineering, from AGH University of Science and Technology, Kraków, Poland, where he is currently an associate professor in the Department of Electronics. He has been involved in research on industrial networked communication systems including send-on-delta paradigm, methods and architectures for asynchronous analog-to-digital conversion, and signal recovery based on event-triggered sampling. Dr. Miskowicz has authored more than 100 scientific publications and holds more than 20 patents related to event-based signal processing and instrumentation. He was a co-founder of the International Conference on Event-Based Control, Communication, and Signal Processing, EBCCSP. 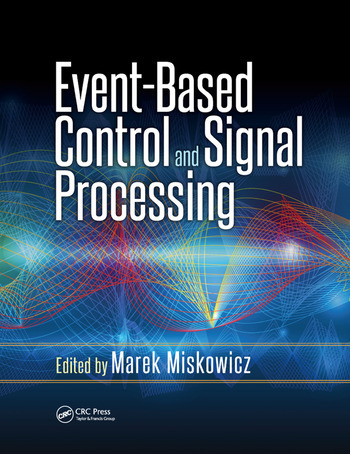 "This book is a good example of a publication that is written to help the curious reader learn fundamental and advanced material on the topics of event-based control and signal processing. It contains several views on these subjects, explained in focused chapters that use a clear language and that keep mathematical explanations at a reasonable level of complexity. Overall, [this book provides] a very good starting point for learning event-based control and signal processing."